Andrea Cevasco is associate professor of music therapy at The University of Alabama. She obtained her Bachelor of Music (music therapy) from The University of Alabama, a Master of Music Education/therapy from the University of Georgia, and Doctorate of Philosophy in music education/therapy from Florida State University. 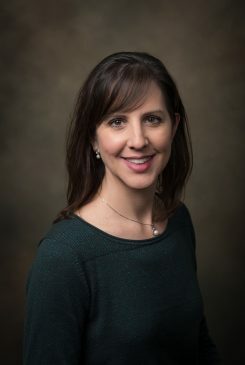 Prior to attending Florida State University, Dr. Cevasco worked as a private practice music therapist in Athens, Georgia, working with all ages and various populations in the community. She also taught at the University of Georgia, supervising music therapy students in their clinical work. Dr. Cevasco’s research interests are in the areas of premature infants as well as individuals with Alzheimer’s disease and other related dementia, and her research has been published in the Journal of Music Therapy and Music Therapy Perspectives. She is currently a member of the editorial committee for the Journal of Music Therapy, exam committee for the Certification Board for Music Therapists, and research committee for the Southeastern Music Therapy Region of the American Music Therapy Association.